Having seen the Route One editorial “The Burning Issue” (22nd June 2016) Clark Wright was contacted by the Directors of Vantage Power. 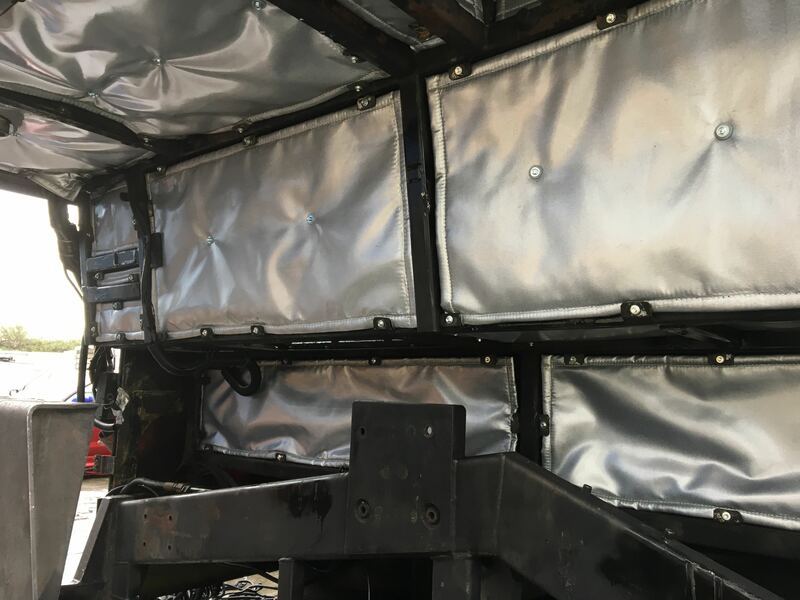 Based in Greenford North West London, Vantage power designs and manufactures battery pack control systems for public service vehicles, and who were in the process of converting one of Richard Harrington’s vehicles. At the request of the Go-Ahead Senior engineering Manager Chris McEwen, who had seen eQuilt successfully work in previous tests and demonstrations, eQuilt was retro-fitted to one of their Wright bodied Volvo B7TL chassis and body. As the vehicle had been stripped of the complete drivetrain assembly (Less the rear axle) he decided to go the entire way and remove the original engine bay quilt, which had degraded significantly, and replace it with eQuilt, to be run in tandem with the new Vantage Power drive train. 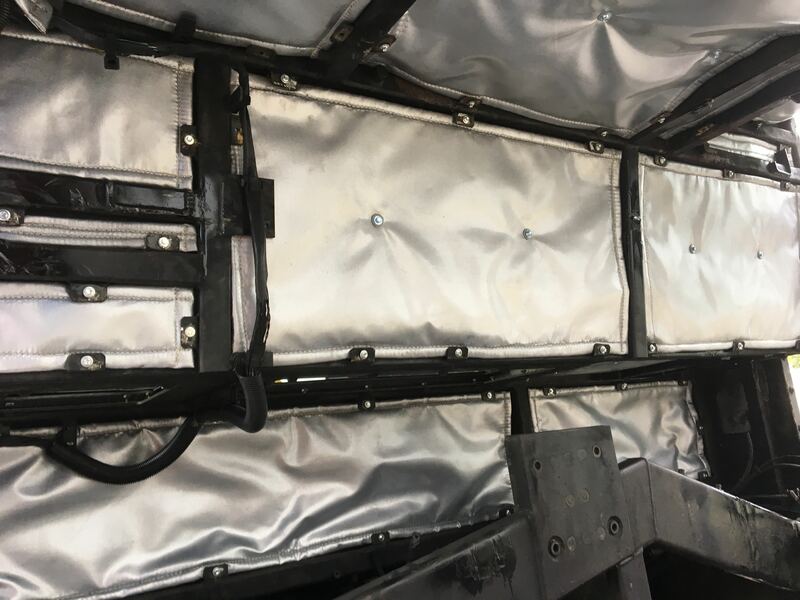 The vehicle has been in service for over a year now and upon recent inspection of the retro-fitted eQuilt, and like the original fitted to the Metroline vehicle in May 2014, it is, apart from normal engine bay grime, as the day it was installed.